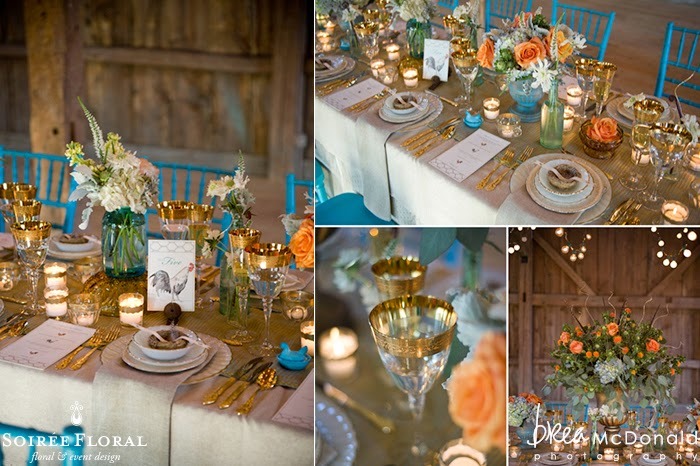 This is one of our all-time favorite tables - we love the unexpected pairing of turquoise and orange for a fall wedding tablescape and how layered the design is. Just take a look at the table piece by piece - a linen, a topper and a runner! And the plates! 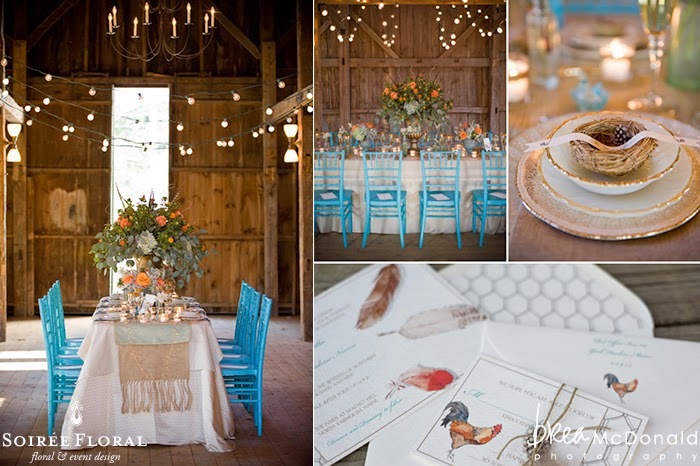 We love the layered plates with different textures and designs. Sara from Griffin-vites Stationery nailed it with her watercolor details - it was the perfect touch of whimsy! Working with these talented ladies is always a joy - "friendors" as we like to say.